Add an advanced List control to your application. The exList component displays and edit your tabular data. The exList component lets the user changes its visual appearance using skins, each one providing an additional visual experience that enhances viewing pleasure. Skins are relatively easy to build and put on any part of the control. Are you looking for a tree control? You might want to check the exTree, exGrid or eXMLGrid control. Ability to filter items using patterns that include wild card characters like *, ? 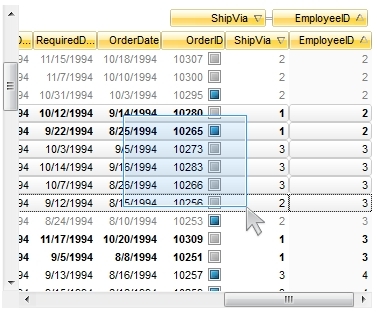 or #, items between two dates or numbers, with an easy-to-use interface. Ability to filter items using AND, OR, or NOT operators between columns. Ability to display more than 2,000,000,000 records, using the virtual mode. Ability to load icons and pictures using the BASE64 encoded strings. Ability to assign multiple icons to a cell. Any cell supports Built-in HTML format. Ability to insert hyperlinks anywhere in the cell's caption. eXTree Add an enhanced exTree component to your application. exTree provides the entire range of capabilities you would expect to see in a state-of-the-art tree component. The exTree control simulates a simple tree, a multi-column tree, a list or a listview control. eXGrid Exontrol's new eXGrid control an easy-to-implement tree-grid control, provides swift and robust performance and a wide range of formatting features that distinguish it from other grids. The eXGrid is a multi-purpose data visualization system that can display information as a tree, a grid or list, or a combination of both - in either data-bound or unbound mode. This unique synergy between a traditional grid and a traditional treeview allows you to create cutting-edge and visually appealing application interfaces for your end-users. eXListBar The ExListBar component, an accurate reproduction of the Microsoft Outlook Bar, provides an intuitive user-interface when large amounts of information need to be presented. The ExListBar supports horizontal or vertical orientation. The object model is rich and intuitive.